Whilst most of us can live without sugary cakes and cookies in our diet, it is nice every now and then to treat ourselves to something sweet without having to worry about jeopardizing our low carb diet. Thankfully, there are a number of companies around that make low carb alternatives to muffins, cookie and cakes, but sadly a lot don’t quite achieve the same texture or taste of their high-carb, high sugar counterparts. 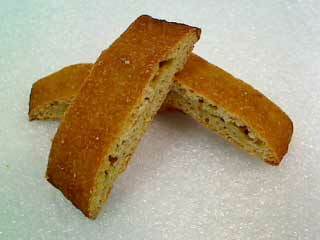 Many people complain of a ‘too spongy’ texture or that their cakes are too dry and crumbly. The fantastic people at ThinSlim bake some fabulous low carb muffins and low carb brownies that are so delicious we have added our own taste guarantee. 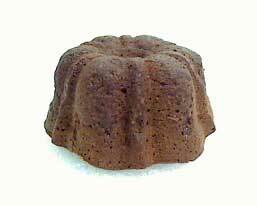 Their recipes produce muffins and brownies that are deliciously moist, denser and less spongy than other low carb baked goods. Not only this, but they are also 50% lower in calories than traditional high carb muffins and brownies, 80% lower in net carbs and have 50% more fiber and protein. ThinSlim use erythritol to sweeten their products instead of alternatives such as maltitol and splenda, which have a tendency to leave an aftertaste and create rises in blood sugar levels. Erythritol is the only sweetener that doesn’t cause GI distress, as it is absorbed into the bloodstream in the small intestine and then passed through the body in its original state via the urine. Because erythritol is usually absorbed before it gets to the large intestine it shouldn’t cause any laxative side effects that other sweeteners such as xylitol or maltitol can. Thinslim brownies come in individual packs and are one of our best sellers here at Linda’s Diet Delites. Each 2oz brownie contains just 45 calories, 2g net carbs, 8g of fiber and 6g of protein. They also have a zero diet count. The brownies can be kept in the fridge for up to a week or frozen to save for a special occasion and are delicious served hot or cold. 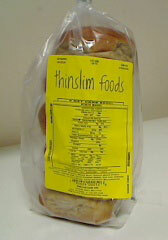 Thinslim also make wonderful sugar-free, low carb bagels that have the calories of the leading low calorie bagel brand and biscotti low carb cookies that come in 3 great flavors. Everybody loves cookies. Kids like them with milk, the British take theirs with tea (although they call them biscuits), but low carb dieters have to go without! But hang on, just because you’re on a low carb diet it doesn’t mean you have to forgo all your favorite sweet treats. 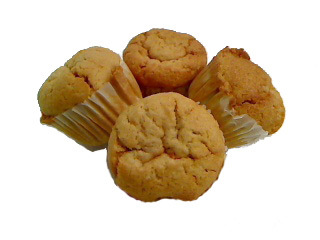 There are lots of recipes for low carb cookies, low carb cakes and other baked goods on the internet, but if you’re short on time or are somewhat domestically challenged when it comes to home-baking, fear not, there is now a fantastic range of low carb cookies and other low carb treats on the market today that will help you stay on course with your low carb eating plan while still being able to indulge every now and again. Supermarkets may have aisles full of wonderful cookies to choose from but sadly very little in the way of sugar free or low carb cookies. Lucky for you that online low carb stores stock an array of tasty low carb cookies so that you can enjoy them with your milk, tea or just on their own. 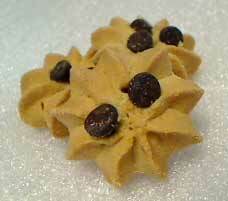 These Everyday Gourmet cookies from Dixie’s Diner are ready to eat and have only 2 net grams of carbs for 2 cookies. They are gluten free, contain no sugar alcohols or polydextrose and are made with totally natural ingredients. They also come in 7 delicious flavors for you to choose from. 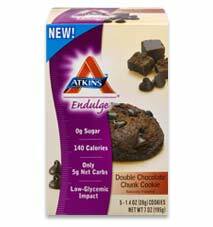 These Atkins Low Carb Cookies come in either double chocolate chunk or chewy peanut butter flavors. With only 5 net carbs per pack of 5 and just 3 diet counts these can be a tasty snack that won’t derail your diet. Biscottis are great eaten either on their own or served up with a low carb dessert such as yogurt, mousse or low carb cheese cake. These biscottis from ThinSlim have been sweetened using erythritol instead of maltitol or splenda which means that there is no bitter aftertaste. They have also been manufactured so they don’t produce a spike in blood sugar so are great for low carb dieters and diabetics alike. If you prefer a more buttery cookie then these Grammy Girls Shortbread are just the thing for you. They are deliciously crumbly and buttery and come in a range of six different flavors for you to try. Macaroons make a delicous coconut snack or treat and these Jennie’s Macaroons are zero carb! Not only that but they are 100% natural and free from soy, wheat, sulfites, lactose and transfats. Take a look at our full range of low carb cookies and other low carb foods at our www.lindasdietdelites.com website. We all know that a low-carb diet is good for our waist-line, and that it has also recently been proven to be good at reducing cancer risk and type 2 diabetes, but now a new study has shown that a low-carb diet could be great for our skin too. With over 15 million teenage sufferers of acne in the USA, could a simple change of diet help? A report published by the Department of Dermatology at SUNY Downstate Medical Center in New York, has shown that some people who have the skin complaint, acne, could be suffering from a disorder called ‘hyperinsulinemia’. Hyperinsulinemia is an excess of insulin in the blood, and acne sufferers could benefit from reducing the amount of carbs they eat to reduce the overload of insulin. The MD of the department of dermatology, Dr. Alan R Shalita, said: “Foods that are low in the glycemic index (GI) may contribute to the hormonal control of acne. I would encourage patients with acne to moderate the amount of carbs that they eat and not to overdo diary.” (Which has also been proven to aggravate acne). Consuming foods which are at the low end of the glycemic index will ensure that a person will avoid the blood sugar level spikes that occur with processed, starchy foods such as white rice, flour, bread, pasta, sugary foods etc. A diet rich in fresh foods such as non-starchy fruit and vegetables, and plenty of proteins will keep insulin levels under control and the acne condition should improve. Dr. Shalita was also keen to debunk some myths about acne causes and pleased chocolate lovers everywhere by stressing that it was unlikely that chocolate was to blame for outbreaks of acne, citing that it would be more likely the fault of the fat and sugar in candy bars rather than the cocoa. Great news for fans of our low carb chocolate bars and cookies. Dr. Shalita did stress that if a low carb diet didn’t show a significant improvement in patients’ acne condition, then they should see a dermatologist for further medical treatments. Lunch on a low carb diet can be the most difficult meal to traverse. But better tasting low carb bread products are helping to make low carb lunches more enjoyable. When it comes to lunch — and this is particularly true in the U.S. — going low carb can be quite difficult. Whereas the typical American breakfasts and dinners feature proteins like eggs, breakfast meats, steak, chicken, and fish, and only require a low carb dieter to take breads and carby side-dishes out of the equation, lunch foods tend to center around bread. Hamburgers, hot dogs, sandwiches — all of which are built around bread — just don’t retain their tastiness when you take bread out of the equation. And because most Americans have neither the time nor patience to sit down to a dinner-like lunch, many low carb dieters often skip lunch, thus leading to hunger — the biggest diet killer of them all. Fortunately for low carb dieters, a wide array of low carb breads have hit the market that feature much-improved taste and texture, allowing lunch items like hot dogs, hamburgers, and sandwiches to stay on the menu. Some of the biggest innovations in low carb bread are coming from HealthWise Bakery, who have long since been leaders in the best low carb breads on the market. Their new line of FlavorRich hot dog and hamburger rolls leverage high levels of fiber to offset carb counts for a zero net carb effect. Ingredients like natural oat fiber, natural wheat protein isolate, chicory roots, organic wheat bran/ corn bran all supply the fiber needed to counteract the carbs. HealthWise has added the use of olive oil and other flavors to greatly improve the moistness and texture of these low carb breads, so that now you can enjoy and hamburger or hot dog with a bun. When it comes to sandwiches, HealthWise has a sliced low carb bread that delivers on taste and zero net carbs as their FlavorRich line of hamburger and hot dog buns. The HealthWise low carb bread is slightly springy, with a very light weight texture and great taste, all while netting out at zero carbs. It also toasts well for both lunchtime sandwiches and breakfast. Of course, the introduction of a few carbs usually improves all low carb breads, which is why HealthWise also offers a low carb bread alternative to their zero net carb loaf. The FiberRich option of low carbs breads from HealthWise features just 3 grams of net carbs per slice, but also ups the ante on flavor as well. From a dieter’s perspective, these two versions of low carb bread offer a perfect two-stage approach to keeping bread on the menu at lunchtime. The zero net carb bread option guarantees that it will not affect blodd sugar levels, thus preserving ketosis for those on an Atkins version of the low carb diet, whereas the FiberRich option is a perfect stage-two alternative. 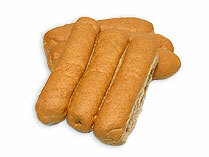 Whatever HealthWise low carb bread product you choose, you can be assured that it will not lead to loathing lunchtime. Thanks for reading our article! 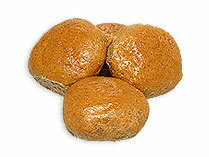 Did you know that Linda’s Diet Delites carries all of the HealthWise low carb bread products discussed in this article? Take a look here!